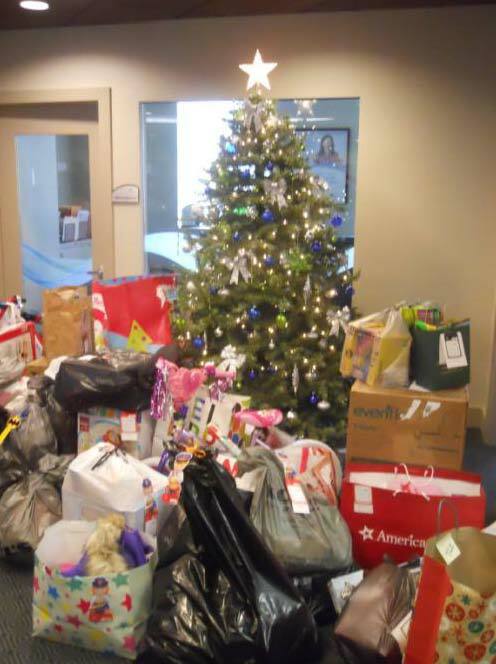 Gift donations made in 2015 at Charles River Bank to the Adopt-A-Family Program through the Salvation Army in Milford. Every year, Charles River Bank proudly participates in the Adopt-A-Family Program offered through the Salvation Army in Milford. We pledge to adopt between 40 and 50 children each holiday season. Bank employees, as well as our generous customers, are matched up with various families in need. Sponsors are then given a wish list that a child has created and purchase items specifically requested by that child. Trees will be set up in the Medway, Bellingham and Mendon branches with ornaments listing a child in need, their age, their clothing size and some gift requests. Please stop by one of our branches at the end of November to collect an ornament or contact info@charlesriverbank.com if you would like us to send you a wish list.